Residents of Nevis will soon see tangible activity related to the geothermal development project on the island. “The geothermal project, the geothermal energy, we have been advised the developers with whom we have contracted to develop the programme here in Nevis will have their drill rig in Nevis at the end of this month or at the latest by the middle of next month to carry on the exploration, to have the production wells done,”Â he said. In late 2015, the Nevis Island Administration contracted Thermal Energy Partners, LLC (TEP) to conduct the Nevis Geothermal Project. In June, 2016, the company announced through its affiliate NRE International (NREI) that it had begun a series of final design reviews and analysis of utility interconnection points for its Nevis geothermal power plant. During that time, a visiting team had engaged in final preparations with the Nevis Electricity Company Limited officials and toured the port facilities prior to mobilisation of drilling and construction equipment. 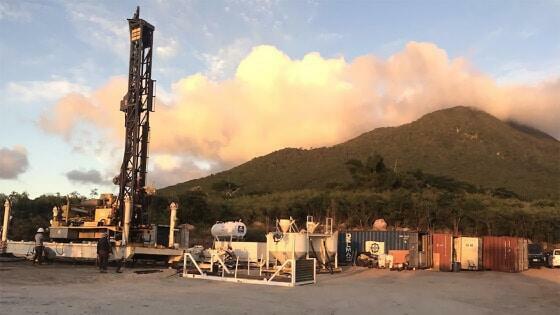 The announcement followed well testing and monitoring exercises of the geothermal resource on Nevis in March 2016 and an announcement that Turboden was selected as the ORC technology vendor. Mr. Amory underscored the importance of the alternative energy development for Nevis. He told attendees at the consultation that renewable energy is an important aspect of the island’s development and gave insight into the status of another related project. “We have seen some little hiccup in the matter of waste to energy. Although there has been some benefit, we still think that this is an important aspect of our renewable energy or alternate energy to the use of fossil fuel,”Â he said. However, the Finance Minister stated that the NIA was aware that there are some indefinable obstacles which could restrict delivery but gave the assurance that pre-emptive action had been undertaken on the advice of Minister responsible for Renewable Energy and Public Utilities Hon. Alexis Jeffers. “In the last month, the government has placed an order and should receive within short order, a 2.5 megawatt generating set, to ensure that during the high season, the highest consumption of electricity period, that we will not leave our people stranded. “I know we have been experiencing some difficulties and I want to compliment Mr. Jeffers for his insistence that we go that route to make sure our people have adequate energy and are not left with outages our blackouts at inconvenient times,”Â he said.